Hello guys........Hope all are enjoying the start of these weekend !! Today i wanna add a full stop for many peoples fantasies of 'U' value calculation, the most common line that i heard from many engineers was Consider U as 150 for Reactors and 450 for Condensers, in return if you ask them what are the units for those 150 and 450, many of them will take some strategic time out as in IPL. An Engineer is the one who holds the ability to deal any of the situation with a smart work, but not the one who follow the Thumb blindly, i'm not criticizing the Thumb, as many cases i too prefer the Thumb rules in practical cases but my intention is An Engineer should be able to derive the U value if needed. And for that we need to know some basics, before going into topic. What are Heat Transfer Co-Efficient? Heat transfer coefficient is a quantitative characteristic of convective heat transfer between a fluid medium (a fluid) and the surface (wall) flowed over by the fluid. How to Design a Condenser? How to Select a Pump , Motor, Line Sizings ? 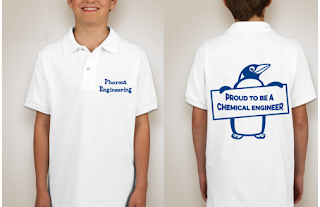 What is Overall Heat Transfer Co-efficient? 3. Convective Heat Transfer from Medium wall to inside Fluid. Thermal Conductivity of a material characterizes the Rate of Heat Transfer of a material, whether the heat is flowing in or out. What are the units of Overall Heat Transfer Co-efficient and How are they derived? where Q holds the units Watts , A - Sq.m, LMTD - °K or °C. So, that's how U units were derived. What will be the Trend of Convective Heat Transfer Co- efficients? Other flow and temperature dependent properties. So, I think right now you acquired some courage to drive the fantasy of 'U' value calculation from your mind. And, i'll start the main show now. How To Select a Condenser? Determine the Power Required for an Operation? For calculation of U value we need some basic data regarding the Jacket fluid properties, Vessel Mass properties, Jacket properties, Equipment Physical data etc. General Data includes: Vessel Dia, Vessel MOC, Vessel wall thickness. 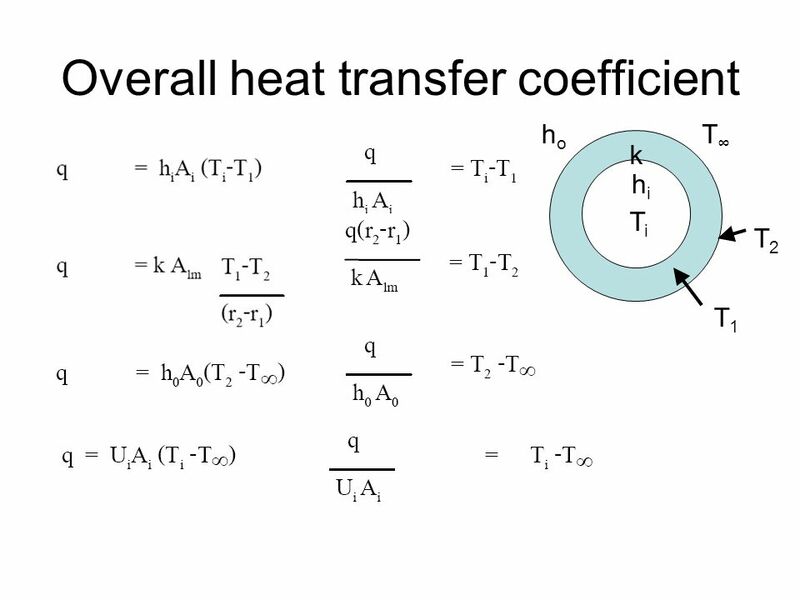 For Calculating Overall Heat Transfer Coefficient we need Individual Heat Transfer Co-efficients used in the following co-relation. How to find Reactor Heat Transfer Area? For this calculation we need to know the inside fluid properties, which includes Density, Viscosity, Conductivity, Specific Heat, Viscosity @ wall. How to Calculate Energy of steam? What does Tonnes of Refrigeration means? How to Calculate required Vapour Column Size? If possible share this with your friends and say cheers...!!!! A typical overall coefficient for a well designed coil would be 400 to 600 Wm2K−1. Isothermal& Nonisothermal medium relates to.. ???? What is HVAC system?,explain it with diagram. HVAC means Heating, ventilation and air conditioning systems, i'll explain it in my next post. How will you calculate Reynolds no.for flow reactor? 3.41 hours, i've replied back to your previous comment, check it for calculation. I have 91 tr chiller at -20°C,flow is about 65m3/hr,fluid used is methanol brine( 33% by weight). And my brine tank capacity is 50kl,brine is 30 kl. How much time required to bring the methanol brine from 30°C to -20°C. 2.This may be very basic question. Formula used: M x Cp x dT. Sorry for the late resposnse. Could you explain little clearly because I am new to the field and also learner. 1. M is nothing but amount of liquid that we would like to heat in time 't', so i've considered it as 3, and x 1 is the specific gravity of water to convert it into mass from volume, i.e., from Liters to Kg's. 2. i've taken 30 x 1000 becoz 30 is in KL and density of brine is around 0.92, and i've multiplied with 1000 coz to convert it into L.
Still any queries feel free to message / comment. How to find heat transfer coefficient for utility flow through conventional jacket? if its a conventional jacket (i.e., annular space jacket), then the volume occupied shall be calculated as overall volume minus central vessel volume, and the heat transfer area shall be the lateral surface area of the inner cylinder which shall be calculated based on the outer dia of the cylinder. Then we find Uo or Ui based on outer or inner surface area. As per my knowledge there wont be Uo & Ui, considering hi, ho we'll calculate U that will be applicable for heat load calculations, if needed you can add the fouling factors also as mentioned in above post. Hope you received it, if any queries feel free to comment/contact. I know only inlet temperature of both and flow rate of products and HW. How to find heat transfer coeficient of dimple jacket & limpet coil?? If steam is used as utility for limpet coil then it may go upto 400 KCal/hr.Sq.m.C. X/K is the ration of thickness of the vessel to the thermal conductivity of the MOC, Holds the inverse units of heat transfer coefficient.